Pat Benatar (born Patricia Mae Andrzejewski on January 10, 1953) is an influential, four-time Grammy Award-winning American rock singer with seven platinum and three gold albums to her credit, as well as 19 Top 40 singles. Pat Benatar was eligible for the Rock and Roll Hall of Fame in 2004. 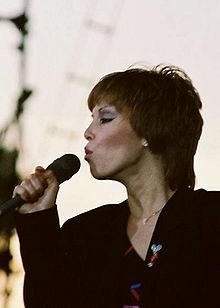 Benatar is also known for her mezzo-soprano vocal range.